New Delhi (Reuters): Alphabet Inc’s Google said on Tuesday it is partnering with a handful of Indian banks to bring quick loans to the masses, as it aims to woo tens of millions of new internet users in the country to its digital payments services. 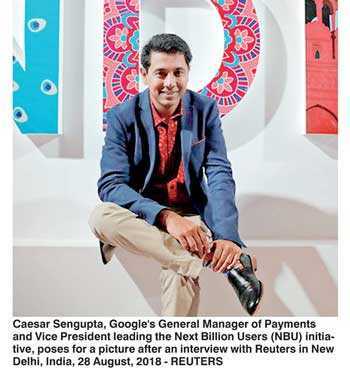 On Tuesday, Google rebranded the app as Google Pay and said it was partnering with four Indian banks, Federal Bank, HDFC Bank, ICICI Bank and Kotak Mahindra Bank - to provide instant loans to the app’s users. “We’re talking to a lot of banks, we’re completely open with who we work with in terms of banking partners,” Sengupta said in an interview on the sidelines of the event. “Banks bring their financial capabilities, their understanding of the user, their customers. We bring our user experience, our ability to make complex processes extremely simple and very fast.” Google’s ambitions could potentially pose a challenge for homegrown Paytm, backed by Japan’s SoftBank and China’s Alibaba and US conglomerate Berkshire Hathaway. Paytm’s founder Vijay Shekhar Sharma and its parent One97 Communications run a payments bank and the payments firm also plans to expand to selling financial products such as insurance and mutual funds in India - the world’s fastest growing internet services market. “We are huge of fans interoperability ... when a product like Tez does well it creates more value in the network for everyone,” he said. Tez has over 22 million monthly active users, according to Google.